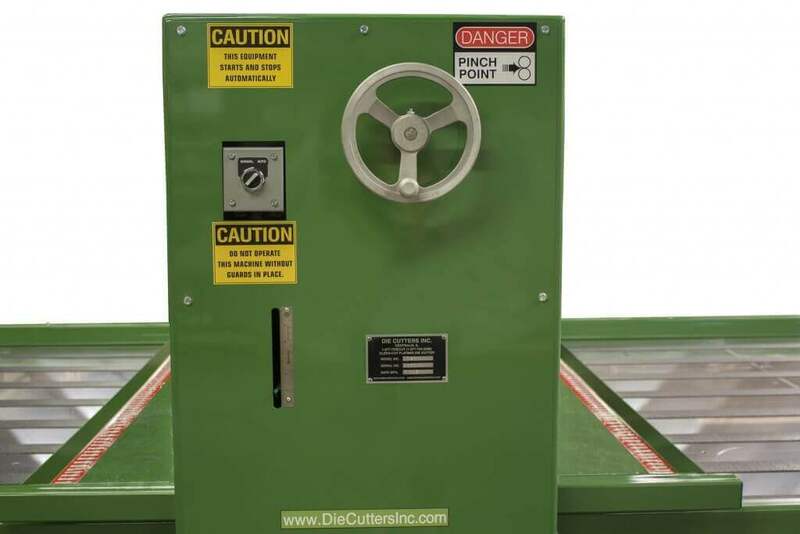 Roller Press Flatbed Die Cutters | Die Cutters, Inc. The Cleen-Cut Flatbed die cutter meets or exceeds the needs of most die cut operations. Our sheet fed roller press die cutter is great for short run orders and handles a wide variety of products; accurately, efficiently and safely. 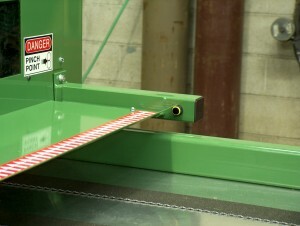 The Cleen-Cut Flatbed die cutter is available in 80” (pictured) as well as 60” and 105”. The Cleen-Cut is the most versatile and user-friendly roller press die cutting machine you could put in your shop. Designed and manufactured in the US, the quality of engineering makes this machine easy to install, operate, and maintain. The bonded urethane-cutting roll allows you to cut any type of rule and an almost endless range of products. 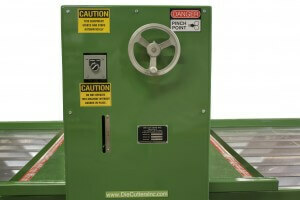 The Cleen-Cut flatbed die cutter also meets all OSHA requirements for guarding. The long lip guard, light curtain emergency shutoff, and positive-lock stop buttons will make this one of the safest machines in your shop. Cleen-Cut roller press die cutters are designed to be easy to operate, and quick to set up, making them excellent for short run die cutting. A simple adjustment of the hand wheel, and you can switch to an entirely different product in a matter of minutes. Flip the switch from auto to manual, depending upon how many operators you have, and what product you’re cutting. Cleen-Cut’s operator control stations are safe and simple. 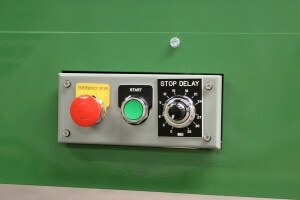 If an operator hits the stop button, the machine cannot be restarted until that button is reset. 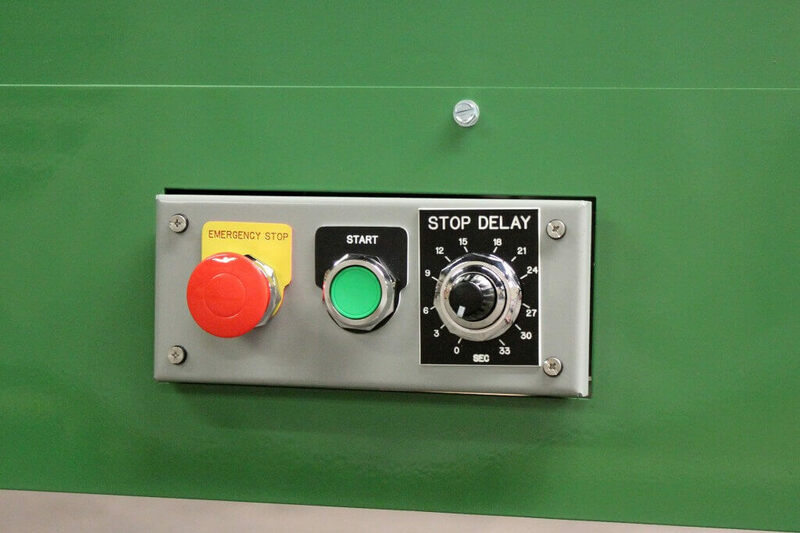 The start button is shielded to prevent an accidental bump from starting the machine. The time delay can be independently set per workstation to suit material and operators. If you would like more information please contact us. We will send you a quote and any other information you might need to help you make your decision, and we’re always happy to answer your questions.